Hello there. I hope this finds you well and with time and weather to fly kites. Rumors: I am constantly amazed at what I hear coming back through the grapevine. I hear that the AKA is losing money hand over fist, we are eating our seed corn, there is complete mismanagement. So let’s talk. The numbers are different than the Annual Business Meeting! Yes, they are. 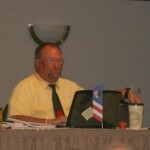 Depending on the date of the Convention, the Annual Business Meeting can be nearly two months before the end of the Fiscal Year on October 31. A Budget for the ABM is a best guess of income and expenditures for the following year. The Annual Auction is about 1/3 of AKA’s Annual Budget. 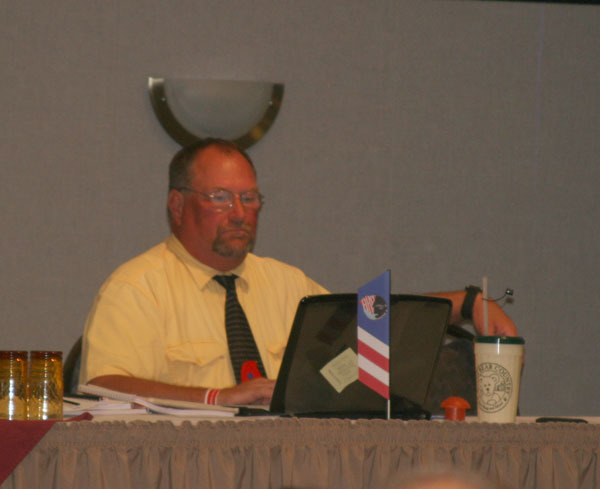 The Membership in the Annual Business Meeting is commenting on, and approving (or not) an operating budget three days before the Auction even happens. In addition, plans are being made for the following year before we know for sure where we stand in the current year. Did the AKA lose money? Yes. Last year, Fiscal Year 2008, November 1, 2007 to October 31, 2008, the AKA operated at a loss of $21,271 on total expenditures of $154,983. We had an operating loss of 13.72%. The AKA spent more than it took in. Convention lost money! It did? Which one? Ocean Shores Convention 2007, Fiscal Year 2008, lost $5,928.61. Gettysburg Convention 2008, Fiscal Year 2009, finished in the black by $396. Fiscal Year: At the Annual Business Meeting I got to sit in the front of the room and watch people’s eyes glaze over as Mel was trying to explain how some income was deferred to certain accounts and Convention is not budgeted for but gets money from AKA, etc. A lot of the financial information would be much easier for Mel to explain and everyone to understand if the Fiscal Year was changed to better reflect income and expenses. A change in the fiscal year to put Convention income and expenses in the beginning of the year instead of the end would mean much less deferred income and expense. I have suggested a change in the fiscal year to put Convention expense and Auction revenue in the beginning of the year to make it easier for all of us to understand. Eating the Seed Corn: Most non-profit associations have cash reserves equal to three years of operating costs. One year’s operating costs is considered the bare minimum. We have less than one year in reserves. Said another way, there ain’t no seed corn to eat. What are we doing about it? There is an agenda item for the first Board meeting seeking Board approval for any spending over budget on any line item. Last year’s Convention lost $6,000, this year’s didn’t. The Board expenses this year will be less than half what they were last year. Most of that is because the new conferencing system we are using. Insurance this year (FY 2009) is $2,079 less than last year. So, yes folks, this has the Board’s attention and we are taking steps to bring spending in line with income. This entry was posted in 2008, AKA Corner, Issue 63 (Nov/Dec), Kite Columns, KL Archive and tagged aka, convention.